Wisdom of Life. : Giving rebate is a bad ethic in selling. My fellow colleagues used to ask me, "what is the main factor that kept me successful in selling life insurance!" Not giving rebate is one of the key factors to keep me going successfully for these many years. Many new agents sold insurance by allowing discount, especially to their friends and relatives. Perhaps they wanted the sales more than anything else. I came into this business all by myself, as I could see the potential and my future. After gathering all the necessary information, I decided to quit my previous employment and contracted as a full time agent with my present principle company until today. My family and friends even discouraged me at that time not to resign my so called permanent executive job. Those days securing a reputable employment wasn't easy. They suggested that I should sell life insurance only on a part-time basis. Nothing could stop me then because the confidence and enthusiasm I had, I know I would make it if I seriously worked on it. At the beginning, I was also hard pressed to give discount on sales make to friends. However politely I told them, if they take me as true friends, they should allow me to earn my entitlement because I had resigned from a good job to sell insurance. I had burned my bridge when there was no turning back. Although my selling wasn't as sharp and professional as of today, my humbleness and sincerity overruled most hearts. 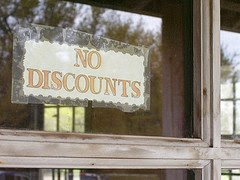 Of course, there were some who refused to buy without discount, but later they realised that they had done wrong. The thousand of clients who had purchased life insurance from me, allows me to progress and to learn this wonderful business. I learned the up and down of the career. From not so smart I am a little wiser now. Not only I learned the job, I understand all aspects of life from the poor to the richest. I had seen the poor suffered and the filthy rich who have good taste of lives. I might not be rich, but my career allowed me to send all my children to further their education. I am only a salesman, but my job allowed me to see most parts of this world. I am only a life insurance agent, but my career allowed me to save many lives, who were critically sick or to make sure the families survived with dignity, when the bread winners had passed away in an untimely death. I give joy and hopes to all my friends and clients who are still living. All these are possible because I did not give any rebate to those who buy insurance from me, neither did I give discounted services and attention to my clients. They were the one who actually paid me to learn and to make sure I can stay permanently in this miracle business. Deep from my heart I speak, "Thank you very much to my supportive clients who have make me as what I am of today. I love all of you." Food for the thought - "Be proper and sincere. Regardless of how others malign us, it's a chance to improve our characters even more. 1. "Honesty is the Best Policy"